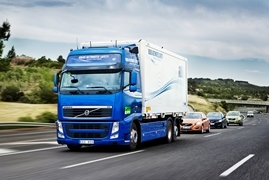 Joining a road train and leaving monotonous motorway driving to modern technology could be the future for road travel, using technology developed by Ricardo together with Volvo and other partners in the ground-breaking SARTRE (Safe Road Trains for the Environment) European research project. Tapping away on a tablet computer or smartphone or reading a book while driving on a motorway towards a sunny holiday beach or an important job appointment has previously been something that only passengers have been able to do. But thanks to project leader Ricardo, Volvo Car Corporation and the other partners in the SARTRE road train project, you may soon be able to take your hands off the wheel and your eyes off the road in your own car – leaving the automated driving to modern technology. 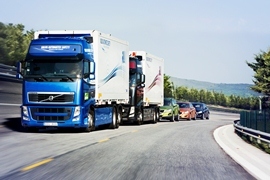 The SARTRE (Safe Road Trains for the Environment) project has involved seven European partners and has just been concluded with a major international demonstration event at the Volvo proving ground at in Hällered, Sweden. With members of the world’s media in attendance, a platoon including a lead truck followed by four vehicles was driven autonomously at speeds of up to 90 km/h – in some cases with no more than a four-metre gap between the vehicles. SARTRE is the only project of its kind to focus on technology that can be implemented on conventional highways in which platooned traffic operates in a mixed environment with other road users. The long-term vision of SARTRE is to create a transport system where booking, joining and exiting the road train will be smoother than leaving your car behind and using public transportation on long-distance trips. This allows drivers to enjoy the multi-tasking possibilities of public transportation behind the wheel of their own cars. At the same time, they have the flexibility of having their own vehicle for onward travel rather than having to look for a taxi or rental car when they leave the road train. It promotes safer transport as a professional driver leads the vehicle platoon, for instance in a truck. Inter-vehicle reaction response times are very quick thanks to the co-ordinated technology. The environmental impact is reduced, as the cars drive close to each other and reap the benefit of lower air drag. The reduced speed variations improve traffic flow, creating more efficiently utilized road capacity. The project estimates that the energy-saving potential is 10-20 percent compared to conventional road transportation. 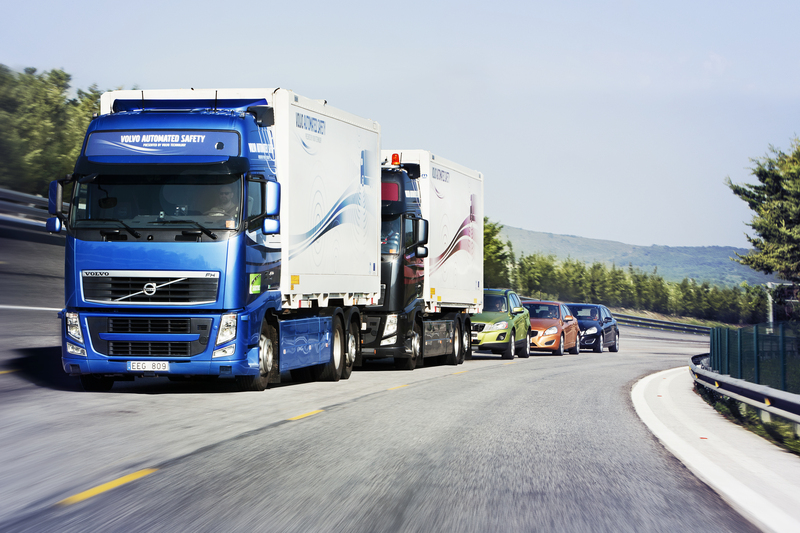 The SARTRE road train includes a manually driven lead truck which is followed by one truck and three Volvo cars (S60, V60 and XC60). All the following vehicles are driven autonomously thanks to a blend of present and new technology. “The vehicles share real-time information so are able to follow the movements of the lead vehicle while simultaneously coordinating their actions with each other,” says Eric Chan. “To achieve this we have extended the camera, radar and laser technology used in present safety and support systems such as Adaptive Cruise Control, City Safety, Lane Keeping Aid, Blind Sport Information System and Park Assist Pilot,” adds Erik Coelingh, technical specialist at Volvo Car Corporation. A prototype Human-Machine Interface including a touch screen for displaying vital information and carrying out requests, such as joining and leaving the road train. A prototype vehicle-to-vehicle communication unit that allows all vehicles within the platoon to communicate with each other. Advanced software – developed by Ricardo – to control the automated vehicles and the road train as a whole. 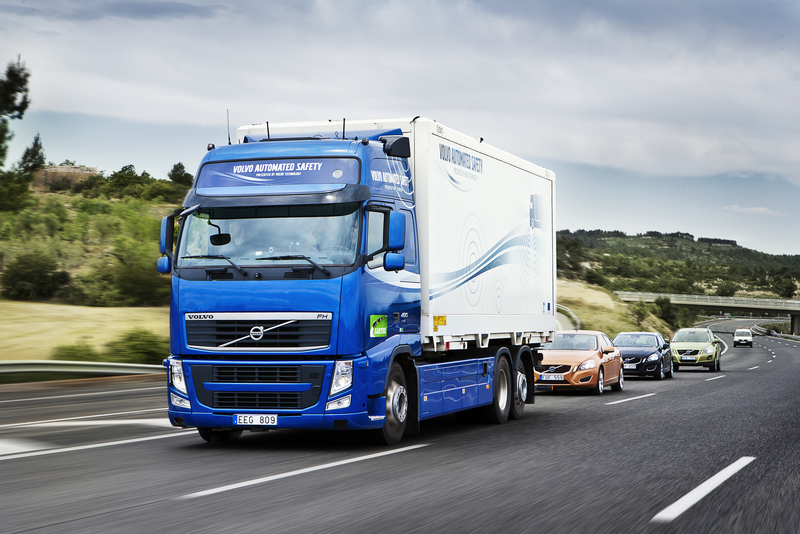 Recognizing that the challenge of implementing road train technology on Europe’s highways is not solely a technical matter, SARTRE also includes a major study to identify what changes will be needed for vehicle platooning to become a reality. A number of stakeholder discussions have been held, bringing together technical experts, politicians, legislators and traffic safety researchers, among others. At the first workshops a number of non-technical challenges for road trains were discussed, such as legal regulations, product liability and driver acceptance of automated vehicles. 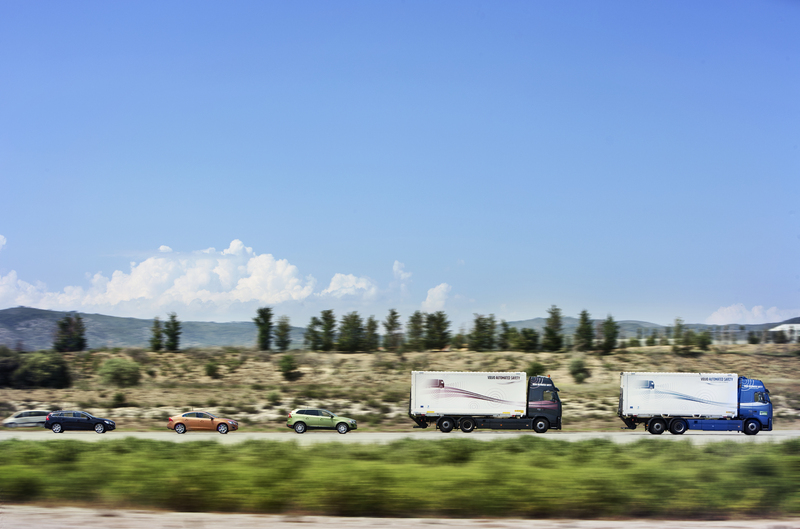 “There are several issues to solve before road trains become a reality on European roads. As the leader in car safety, Volvo Car Corporation is particularly focused on emergency situations such as obstacle avoidance or sudden braking. However, we are convinced that road trains have great potential,” concludes Erik Coelingh. A full copy of this press release and accompanying images are available from the links at the top right of this page.